Category: Find what you're looking for here! But every circuit has to be tried before committing to expense! Hooked up to the AP it did 67dB S/N (CCIR 20Hz - 20kHz) and 0.01% THD and 50mV max input on a 30V lab power supply. In reality hooked up to an Ortofon 2M Bronze it's a bit buzzy due to the less than ideal S-Dec lash-up and zero shielding. I replaced the simple BC337's with BC184C's (discontinued these days) to obtain more bandwidth, but it didn't fully succeed. If it ever reached production I would have to use BC237's. More on the theory as promised next up. By the way, this is neither of the designs recently discussed, but close. It uses 4 transistors per channel. If we closely examine HPW's circuit with DS's circuit we can see DS has omitted the potential divider of HPW in the first transistor's collector load supply. This translates to DS's Q1 running at a higher collector current (or emitter current as some would have it) than that of HPW. About 3.5 times. If we increase the current in Q1 (TR1) the dominant pole capacitor (C4 HPW; C1 DS) must be increased in value to match. Here we find HPW's slew rate is 8.5V/uS from V/T = I/C, and if DS's circuit is to be believed its slew rate is 30V/uS. In my opinion it is an error of omission, and the value should be 18 pF or perhaps more. But is either circuit immune to slew induced distortion (SID for short)? The linearity of the input transistor plays its part, and here it is operated in transconductance mode, where the only emitter degeneration is its intrinsic emitter resistance. It might be argued that the NFB divider resistor (R7: 470R in both diagrams) provides emitter degeneration, but does it? The emitter is the input for negative feedback. Think of the input being the 470R resistor, but taken to ground instead. It is the equivalent of a long-tail pair without emitter resistors. Therefore R7 doesn't provide emitter degeneration, or if it does, it isn't very linear versus frequency because of the RIAA network's impedance being essentially in parallel with it. If we took the differential slew rate formula from the Art of Electronics as 0.3Ft we will see it is nowhere near 8.5V/uS (a guesstimate is around 2MHz for Ft). OK, that formula isn't exact here because it is not a differential input, but gives us some idea. This phenomena is due to the limitation of input linearity of the bipolar transistor base: 60mV p-p, or 30mV peak. Above that TR1/Q1 saturates and the input has to drive the dominant pole capacitor directly (the 4.7pF capacitor). This slew limits the input causing transient distortion. What is needed is some emitter resistance between the emitter and R7 (and the lower end of the RF filter cap moves up to the emitter). At 40uA the intrinsic resistance is 625 Ohms (25mV at 20 C divided by emitter current) which isn't too bad, but varies with temperature. At 140uA (DS circuit) it is about 180 Ohms. If we swamp 180 Ohms by adding say a 1.5k resistor, we obtain a multiplier or a 9 times improvement over the DS circuit. We can approach 4.5V/uS or thereabouts. It all depends on Ft - the frequency where the stage falls off to unity gain and its stability. However, this adds to noise, and we have to consider which is best: more musical realism or something that's dead quiet when not in use? It also reduces open-loop gain which has to be made up for elsewhere, and this is why my circuit has an extra transistor. To operate linearly a silicon transistor is biased to approx. 0.6V VBE. Some iteration is required in establishing resistor values, and fine tuning is adjusted on test for a symmetrical output signal swing, but to start we estimate voltages around the circuit. We want somewhere in the region of 100uA in T1. Lower current improves S/N, and higher current improves distortion (you can have one or the other but not both). With the values chosen I estimated about 127uA, which is the voltage from the supply to T1 collector divided by R4+R5. This 127mA flows in R6 and R7 making T1 emitter voltage 0.24V. Add on 0.6V VBE and the voltage on T1 base needs to be approx. 0.84V. This is derived from potential divider R8/R3 making T3 emitter voltage approx. 3.45V, which is the voltage across R12 and we find its emitter current is 0.8mA. This sets the voltage drop across R10+R11 at 10V, but base current for T4 also flows along this path. T4 emitter needs to swing half of 30V minus T3 emitter voltage, or half 26.5 volts which is 13.25V to which is added T3 emitter's 3.45V making 16.7 volts. T4 base is therefore (16.7V + 0.6V) 17.3V. T4 emitter current is 16.7V divided by R15+R16, which is 7.2mA. Using a power amp output stage driver transistor for T4, which has a current gain of approx. 100, we see T4 base current is approx. 72uA. This is added to T3 collector current making the voltage drop across R10+R11 nearly 11V. The voltage drop across R14 is 72uA x 10k = 0.72V. We now add 17.3V, 11V and 0.72 volts and we should have the 30V supply voltage. It works out at 29.02V, but DC negative feedback around the circuit will correct for that, and in doing so make T4 emitter voltage slightly higher so everything balances out. I conveniently left out T2 from the calculations because its current flows back into T3 base, thus cancelling its effect as far as biasing is concerned. However, T2 combined with T3 contribute two VBE drops (1.2V), and if T3 emitter is 3.45V, T2 base must be 4.65V. 30V - 4.65V gives 25.35V which appears across R4+R5, and 25.35V/200k = 127uA. Good estimate! So what's the value of R1? 47k? No way! But that's the load an MM cartridge wants to see. Signal is ac (small letters if you're talking alternating current - signal current). The ac is passed by capacitors where DC is blocked. C1 is therefore a "piece of wire" to ac, and so R1 is in parallel with R3 and R8. Why R8? Because C8 is also a "piece of wire" to ac and so R8 connects to ground. So these three values must equate to 47k (1/47k = 1/R1 + 1/R3 + 1/R8). But shouldn't we include the input resistance to T1? The signal on T1 base is the same(ish) as the signal on T1 emitter (only the current is different). So if the signal is rising on the base, it is also rising on the emitter. Its diode junction is simply following - it's an emitter follower. The circuit output is n-times the input decided by the negative feedback ratio of the lumped C5, C6, R9, R13, divided by R7. This being fed back by the output and being the same way up, the emitter signal is also rising. It is rising by the same as the base, so any resistance there could be has no effect, so it doesn't exist as far as the signal is concerned. Therefore, the ac input resistance (we should call it impedance because it's ac) is just R1, R3 and R8 in parallel. There is always a BUT though. And the BUT here is that emitters don't really follow, and feedback signals don't appear at exactly the same time as the input. The base-emitter diode junction isn't perfect so the signal appearing on the emitter isn't exactly the same as that on the base, but it is very close. All active devices (like transistors) have rise times. They cannot respond instantly, although they are really fast, and shouldn't be a problem, but they are. And also the dielectric of capacitors C5 and C6 can alter the signal "quality", so the negative feedback isn't a perfect match to the input, but it is very near. So these three things can be ignored? If you want... And the earlier circuits did ignore them, and that's why transistors got bad press (and Mr Self moved onto "the far superior" op-amps). And so we come to R6. Let's assume that one or all three of these occurrences were to happen. R7 would effectively not exist as we think of it. Say we replaced it by a wire link (this being an absolute worse scenario). T1 would then have input resistance in parallel with the composite 47k (R1,R3,R8), taking it below 47k and messing up the highs (at least). The actual value is hfe times intrinsic emitter resistance of T1. hfe varies between one transistor and the next, and intrinsic emitter resistance is temperature sensitive. But given that we might have a transistor with hfe of say 360 and that the temperature is 20C, we take the emitter diode junction thermal voltage as 25mV and divide it by its current which is 127uA. Here goes: 25/0.127 = 197 Ohms. Multiply by 360 = 71k Ohms. So we have around 70k in parallel with our 47k making 28k. That messes up the cartridge response no end. How do we ensure our load doesn't dip so low? The answer is R6. It adds 1.5k to the 197 Ohms, and this is multiplied by hfe (360 here), making it 611k Ohms instead of 70k Ohms. It can now dip worse case to 44k and you'd be hard pressed to hear that for the nano-seconds involved. R6 has a couple of faults: 1. it is a noise source like all resistors, and adds 6nV per root hertz (0.864uV of noise 20Hz - 20kHz, so we might have to do a bit of tweaking here); and 2. it reduces the stage gain to R5/(R6+R7) which is 53 (usually it would be around 500). Also, even though R6 is local negative feedback, it doesn't reduce distortion. The next stage which is T2, T3, is usually just one transistor. It's emitter is connected to ground at ac, so its input resistance is (again) hfe times intrinsic emitter resistance. Because more current flows (0.8mA from our bias calculations) we get R-emitter = 25/0.8 = 31 Ohms, and if hfe is 360 again, R-in = 11k. The output impedance of T1 is R5, 100k, so there is signal attenuation due to the potential divider action of 100k/11k +1, which divides by 10. So all we got so far is a gain of 53 reduced to 5.3, which is terrible! By adding a transistor, here as a "darlington" or "super-beta" arrangement, we increase the load resistance by the additional hfe, and it will be around 3 MegOhms. Our stage gain is therefore going to be around 50 - 52, which is what it would be in the three transistor circuits that don't use R6. But the beauty of R6 is that it increases input latitude so that any big fast input signal doesn't get "squashed" which would effectively reduce slew-rate and cause SID (slew induced distortion), and if that were a click, it would be over-emphasised. This is how we reduce clicks! So what is the slew rate? If V/T = I/C (which it does), then 127uA/22pf = 5.77V/uS (127uA is the collector current in T1 which charges the 22pf which is the dominant pole capacitor between T2,T3 collector and base). All transistor specifications state Ft, the frequency at which their hfe (or beta, or current gain) reaches unity. They're not much use at that frequency. And at 20dB per decade you have to come down several decades to hit the hfe you're after. A 100MHz transistor having a common hfe of 200 will only be that 2.5 decades lower at 40MHz, and most small signal transistors have real hfe's more than that. So let's make the maximum bandwidth we're aiming for below 10MHz - it makes sense. Each transistor also has input capacitance which tries to attenuate the previous stage's bandwidth. Once we add a negative feedback loop an uncompensated amp can turn into an oscillator, so we need to bring down the stage's bandwidth sufficiently to avoid this, and this is the function of C4. In this circuit we have the added problem of T4 which, as an emitter follower as it is configured here, also make accidental Colpitts oscillators. Any inductance on its base tends to start it oscillating. Here we use R14 and C7 tuned to stop T4 oscillating (a bit like a valve grid-stop). We also isolate T4's output with resistors R15 to the NFB and R17 to the outside world. Even so we will see from the frequency versus phase plot the tendency for the circuit to come back up at around 200MHz, just where the average of Ft's is for our bunch of transistors. If we keep this a factor of 10 below unity gain (gain margin) then it's pretty safe that it won't do anything silly. A lot of involved math would be needed to work this out the old 1970s way so computers started to be used to do the number crunching, and a program called SPICE came on the scene in 1973, but it took a fair few number of years to be adopted. Most calculations look at high frequency stability missing some crazy things that can happen in the bass. The following is the plot of this circuit and a third curve was added to show the effect of the T4 bootstrap C9 if the lows are not considered. Nice bass!? 1. upward bass kink at 2Hz for not observing phase shifts: plenty of cone flap with this! 2: between 20Hz to beyond 100kHz the RIAA replay response. How about "Real Input Impedance" and "Feedback concerns"
OK, we can call it that. For the few who are following this topic I will continue by commenting on circuitry of real products in the 70s, in the hope we can learn how we can use these early circuits to good effect in perhaps an amplifier project? One of the big problems with some 70s products was the use of "brilliant ideas" and how they impacted on the sound. Often it was the case of using technology for technology's sake rather than for sound quality (in my opinion). And at least one British firm was guilty of doing so. I shall not mention who, but they have grown into a massive multi-million pound turnover retail and manufacturing outfit. Which just goes to show the general ignorance of the hi-fi buyer and those who recommend by way of review. I also "blame" "the adventures of Doug Self" or was he simply regurgitating the ideas of the era for the delectation of Wireless World readers? No wonder the transistor has taken such a battering. But if used properly it can trounce all which valves can throw at it. But the damage has been done and valvee people will have none of it. Yes, I think we need to make a transistor amplifier "the proper way" to enable "the few" to truly appreciate the transistor's capabilities. So let us now begin to consider what's required. Without meaning to divert this thread - which I've tried to follow, mostly without success - what would the difference be between "solid state" circuits and "transistor" circuits? You say you need to make a transistor amp the proper way (really make one?? For sale??) - so how would this differ from the Proprius? Solid state can refer to transistors as well as integrated circuits such as op-amps (operational amplifiers). Transistors are therefore solid state. And integrated circuits contain a quantity of transistors all etched/deposited onto the same piece of silicon, along with any small passive components necessary, as well as diodes and zener diodes required for reference voltages. Why not? After taking a look under the lid of other 70s amps it shouldn't present much difficulty. And I have also produced one amplifier kit in the late 70s; a studio power amp which actually got used in quite a few studios; and I was R&D dogs body for an amplifier manufacturer (in fact two). A 70s power amp could take many forms and is something I may look into in this topic, illustrating as I go. Thank you Graham - I shall follow this thread with renewed enthusiasm! 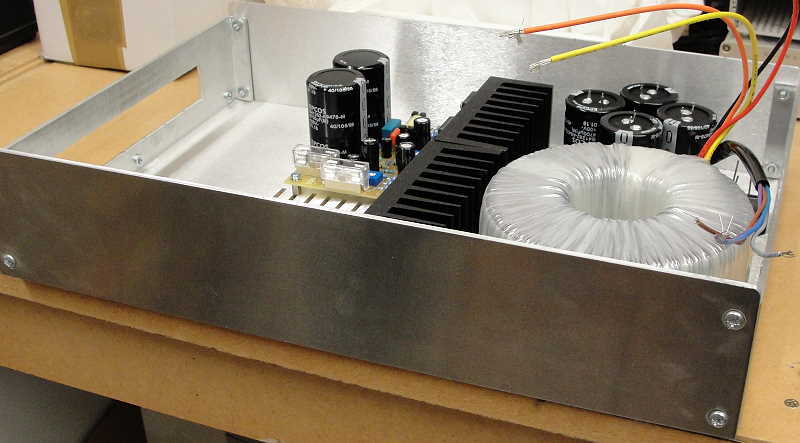 The amplifier was often used with a 40V transformer, which gave 56V DC on load, because the main supply decoupling and reservoir capacitors were difficult to obtain above a 63 volt rating. Even so it would do nearly 90 watts into 4 Ohms and 45 watts into 8 Ohms. 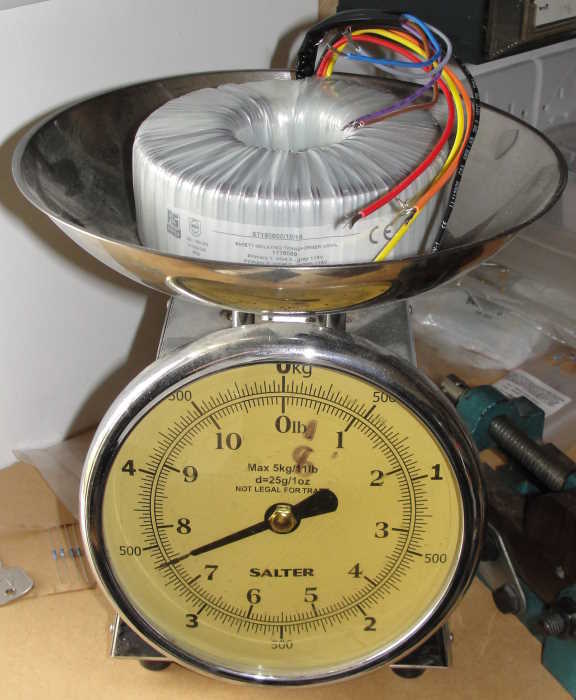 Run at 68 volts on-load (using a 48 volt transformer) it could swing in excess of 20 volts, delivering more than 100 watts into 4 Ohms and over 60 watts into 8 Ohms. There is in fact an error in the drawing between what's shown and the actual kit: T2, R12, 13 and 14 was two signal diodes and a small value trimmer all placed in series which did the same job. Thermal feedback to stop the output transistors going into thermal runaway was achieved by glueing the diodes to the output transistors with Araldite (one apiece), in a similar way to many commercial products. Savvy readers will note the output capacitor and also the lack of a differential input. As it uses an output capacitor it doesn't really need such precision control over its output mid point, as long as it gives the full expected output it doesn't matter if there's a few millivolts offset. Some may argue the offset increases distortion, but by how much? Often such argument is about distortion we would never hear even using high class headphones instead of a loudspeaker. The output capacitor can cause distortion however, but only if it acts on the audio signal. A value of 1000uF was quite common in the early days, which had a turnover at 20Hz using 8 Ohms. For 4 Ohm use it was doubled up to 2200uF. It is debatable whether distortion can be heard at 20Hz because 20Hz is below what most speakers can do, and if they can, we have a job hearing it. But phase shift relative to other frequencies might fudge timing, and 20Hz only comes back into phase at 200Hz. Perhaps nowadays we should use 10,000uF (or two 4700uF) and that would take the capacitor's effect way out of range. DC coupling removes this problem, but adds the possibility of extreme loudspeaker damage should the amplifier "tip over" (if the output offset goes wrong). You would think that servos could overcome this problem, but I've never known it! Just a little bit of instability seems to affect some amplifiers, blowing a pre-driver, and setting off a chain reaction ending in speaker drive unit burn out. Therefore my preference is for output capacitors and I never heard anything untoward on a friend's Cambridge P50 driving Tangent RS4's on some really low bass. The P50 used output capacitors. Thank you Graham for another illuminating piece about using technology the right way. As well as the Accessions I have a lot of old transistor circuits that still work fine, some built from electronics hobby magazines, and it's great to understand properly how they how they operate. For example I have a pair of 1970's active speakers with Motional Feedback, scheduled for a winter '18 refurb project and it is really good to look in the service manual at stages like the ones you have explained above. I'm enjoying this look back into transistor amplifier history as well. I've lost count of the number I built in the 60s and 70s for myself and friends. Certainly remember Aralditing diodes to power transistors. Such periodicals as Wireless World, Practical Wireless and Practical Electronics were essential reading, and later Vance Dickason's Loudspeaker Cookbook, to name but a few. Like Jon I have a selection of the better amps stacked on a shelf in my workshop, just can't bring myself to throw them out. My appetite for a properly designed and engineered "modern" transistor amplifier kit, that won't reside on the aforementioned shelf, is truly whetted. Remember all those amplifier tests deemed necessary in the "new age"? To ensure the amplifier maintained its stability? And if the amp was capable, how would the capacitor suffer? And then would they use the same capacitor on the next test? Just how do you test for stability, which if it goes wrong, the pre-catastrophic effects happen above 1MHz - beyond the range of all audio analysers? The answer is a load of RF test gear, and the ability to think up tests which might indicate what is happening. Note, I said might. Why? Well, either SPICE modelling has it wrong, or there should be a lot of red faces. For stability the output signal potential must decay to less than its input potential (indicating a gain of one - unity - or less) at a rate where its phase is displaced less than 180 degrees, and this usually happens somewhere around 1MHz and above, or in most 70s designs, at less than 1MHz. 45 degrees less than 180 degrees is considered stable for op-amps, but stable in this case doesn't sound good because there is overshoot and ripple if a square wave is examined (if the circuit is of a type which will allow such examination). A power amp which drives a loudspeaker with 45 degrees of phase margin off-load can go beyond 180 degrees on-load, and result in the speaker wires acting like antennae, and you should not be surprised to hear an analogue radio playing the same music as you at exactly the same time! Therefore a wider phase margin is required and I for one always want to see 90 degrees. Some argue that 90 degrees limits slew rate too much, and prefer to risk 60 degrees... "because it sounds better". I disagree. Also, when the phase is 180 degrees out, the gain of the circuit needs to be well below unity, not just below. A golden rule or rule of thumb in analogue electronics is the factor of 10. If it's one tenth of unity gain where it hits 180 degrees then it would have a job to oscillate! My stability criteria is therefore 90 degrees phase margin and 20dB or greater gain margin, regardless of output conditions. And that includes the 1uF capacitor, but a simulated one in SPICE which cannot be harmed. In any amplifier using NFB (which it should) all phase shifts can add together and make the NFB turn into PFB - positive feedback - and then it will oscillate and do damage. All the way through there will be phase shifts because as we progress from small transistor to big transistor to get the power handling, the high frequency performance comes down, and each transistor attenuates the high frequency performance of the preceding transistor. So we limit what the amplifier as a whole can do by placing a capacitor in the voltage amplifier to set its dominant pole. We set it so that with a resistive load, and negative feedback applied, it provides 90 degrees (as near as we can get) of phase margin and 20dB (or better) of gain margin. Thus we ensure NFB is NFB. It should be blindingly obvious that if we stick a capacitor across its output that at a particular frequency it represents a short circuit, and therefore there is no feed to the NFB, and so the amplifier goes to full open loop gain with catastrophic consequences. So what we need is something in series with the output, after the NFB take-off point, to "soak up" the capacitor load. When dealing with op-amps (or transistor circuits) and low level signals it is apparent that designers have their brains switched on, because in most circuits you see a series resistor, which is there to protect against capacitive loading and preserve stability. But a series resistor is no use in the output of a power amp because it would severely attenuate the output power to the loudspeaker. Therefore we need to use a "tuned resistor" - one that changes from zero to some resistance as frequency increases, and that is an inductor. Ignoring those who say inductors mess-up the sound, because in my opinion you cannot teach the ignorant, we will now explore output inductors for a moment. If the amplifier must be stable with a 1uF capacitive load, then the inductor must be large enough to replace the lost resistance. However, what we see in numerous designs is a few turns of copper wire round a former or even a resistor. A few turns of wire are not going to be of much use against a 1uF capacitor. This tends to suggest the designer partly understood the problem, but didn't grasp the answer. I am assuming amplifiers from these great companies were not designed by ear and a bit of math only. That there was more to it than just the basic audio analyser tests. But on looking at their schematics, and in one or two author's reasoning, I can see this could have been how it was done. I feel let down, because I could have been on that gravy train! The reason I wasn't was because I thought there was more to it - and actually there is! And then we have amps to this day which do not have an output inductor, and the instructions warn to use a low capacitance cable or it will damage the amplifier. Just how can a group of people maintain a myth? But back to the inductor, and the resistor the more enlightened use serves the purpose of damping the inductor's effect which is to "spike" the response at some high frequency where gain can be above unity. This is because all inductor-capacitor networks have a resonant frequency, and the NFB plus all the phase shifts in an amplifier complicate matters. But if we think of the capacitor test as a short and the amplifier is designed to drive around 8 Ohms, then a resistor in that region will curtail the inductor's effect such that the load is similar all the way. So we need to add a resistor across L1 in the diagram below (same diagram as prevoius page). Also interestingly, and earlier on, I found the gain margin would not go sufficiently low before the 180 degree point was reached. This is most likely what I think of as Colpitt's effect, which is where emitter followers tend to want to be oscillators due to a combination of intrinsic and external capacitance, and inductance (ref: Small Signal Audio Design, Douglas Self, 2010). I have only ever found one cure, and that is to provide further compensation elsewhere which results in the same transform, but not always where it is expected to be. This being something which SPICE modelling can do, and that my imagination is incapable of. Normally such compensation would be achieved using the equivalent of grid stoppers, but modelling exposes that transistor base impedances aren't easily calculated. As it was with the Proprius design, so it is with this one, and although the circuit topology differs greatly, the same cure works. And that is to add a small value capacitor between T3 collector and T1 emitter. Next we shall look at power and current. Interesting if lost by many of the technicalities! Given the starting point was designs from the 1970s it was my impression (as a teenager) that some of the power amps in those days were not overly load tolerant for certain speakers. Whilst I fully appreciate you wont have a detailed working or practical knowledge of each or any of them, I am thinking here Quad 303, maybe 405, Naim's from the 70s didn't appear to like driving certain speakers and cannot remember about things like the Sugden A48 or Radfords? I wasn't looking to draw (more powerful) later 80's amps in to this (Japanese or American for example). Do you feel my impression some of these designs were not as universally compatible is a valid impression and if so were these flawed in some areas either by way of design or component limitation? I suppose I should have started this from 1966 when silicon transistors took over from germanium and prices became sensible (2/- shillings each!). But I only began to understand how to design using transistors in 1976. Maybe I'm a bit too hard on the designers of that day? After all, they didn't have transistors that were really capable of doing the power amplifier job. In fact I'm not being hard on them, just those who followed. The Quad 303; Sugden A48 and Radford transistor amps needed "output triples" or "doubles" with emitter-follower drive to get the required current gain. Quad and Radford knew about output inductors, requiring minimal compensation; but not Sugden which uses numerous fixes which a simple inductor would have taken care of. The Quad 405 was a step beyond... a class B with a little class A feeding into its output node via a resistor. I remember trying an op-amp version for the headphone amp of the CCM3 mixer... it sounded awful, and I ended up using a properly biased class AB version instead. Quad reckoned the negative feedback would take care of the "abrupt" step as the signal rose to class B turn-on level, but IMO it didn't work. As for Naim, I don't want to be sued, but will say I think they should know better. As you mentioned the Japanese, I will say they realised our transistors were the problem in obtaining stable current gain, and developed their own 2SA/2SC range of NPN/PNP transistors, which some in the UK industry quickly adopted. Motorola (American) swiftly responded with better power output devices; some of which entered the Philips/European catalogue. When instability strikes the music suffers, usually the bass, and otherwise the sound is bright or brittle. The page linked confirms my feelings during the past 42 years. Glad there's not only me. Correction: a 2N3055-like transistor was used in the 303, not a 2N3055 as I said. As said before interesting! I once attended a demo with a pair of stacked ELS57s organised by a local dealer in Hull (they are now GSP dealers) not long after the 405 came out - they (PW himself?) insisted the 303 and 405 sounded the same but the 405 would go louder! Certainly didn't sound like that to me, the 303 had quite a distinctive sound (to me anyway). It makes sense that they designed the amp around a 'friendly' power transistor and shows the risk of generic part swapping. Seems easy when an expert like Graham explains it. Never thought of myself as an expert - just reporting my findings based on trying things and researching the reaons why things happen. The difference is in looking in the right sort of places for information: it used to involve visiting libraries and much frustration until The Art of Electronics was published. Also semiconductor data books helped a great deal, but the best by far practical introduction to transistors (IMO) was Teach-in '76 (Everyday Electronics). Before that the basics came from a set of REME books which were used to teach forces engineers about valves and their uses. They were being thrown out by a library and the librarian thought I'd like them. 3.5kg, or it will be with mounting kit. Does the transformer really need to be this big? I decided I wanted a 68V nominal supply, and this is because I want to use my old favourite BD139/BD140 pre/driver transistors. They are rated 80V (Vceo) so I never want the supply to rise above 80V. Can it? Transformer - rectifier relationships with a capacitive filter work thus: Vout = 1.414 x Vin, and Iout = 0.61 Iin. So if I choose a 48 volt transformer for 230V mains, and being close to a larger than usual sub-station (a relic from an industrial age), and being in the UK where they generate 240V instead of 230V, I measured my mains voltage at 254 volts. The transformer data also gives me off-load voltage of 51.6 volts, so at 254/230 volts that can increase by 10% to 57 volts. ...we see at least one base-emitter junction in series with one of them, and that drops 0.6V, so I've just squeezed it to 0.1 volts inside its absolute maximum rating (see T7: if saturated it's collector is at 0V, and so is emitter T6 - no serious current through the emitter resistors - and so T4 emitter is T6's VBE drop above 0V. T4 is a BD139). The chances of it actually reaching 79.9 volts are very slim indeed - it would have to be doing a full output squarewave into an open circuit, but it could happen. 100 watts into 4 Ohms is 20 volts rms into 4 Ohms which gives 5 amps of rms current (check: 4 Ohms times 5 amps = 20 volts). Watts is rms volts times rms current, and 20 x 5 = 100 watts. And the transformer rectifier relationship for a full wave bridge tells me I need the inverse of 0.61 times the current required, or 1.61 x 5 = 8 amps. Multiply the voltage by the current and it says I need a 386 VA transformer, so I bought a 400 VA transformer to be on the safe side. But isn't there something wrong here? This is stereo so I should need double?? OK then, show me any commercial amplifier that uses an 800 VA transformer to do 100 watts per channel stereo... do they weigh in at well over 10 kilos? The one I'm looking at spec-wise weighs 5.1kg (all-in including enclosure, and all other parts), and does 90WPC into 4 Ohms (well known British brand). They will usually use a 300 VA transformer and allow it to run saturated, or pulled down, or overloaded or whatever language you'd like to use. And this is because when used to play music the full power will (normally) never be exploited, even on 100 watt peaks, which it cannot exceed - think about it. It just needs to keep up for long enough to meet measured specification. Any longer and the transformer temperature rise will begin to cause damage. So here I'm using 400 VA (ac watts) for hopefully 100 watts per channel, 200 watts total. Fuse Ratings Do Make Sense? If you look at a schematic for a power amplifier you might see a fuse rating which doesn't make sense. However, on test it does 64 watts into a 4 Ohm dummy load indefinitely... with a 2 amp quick blow fuse! 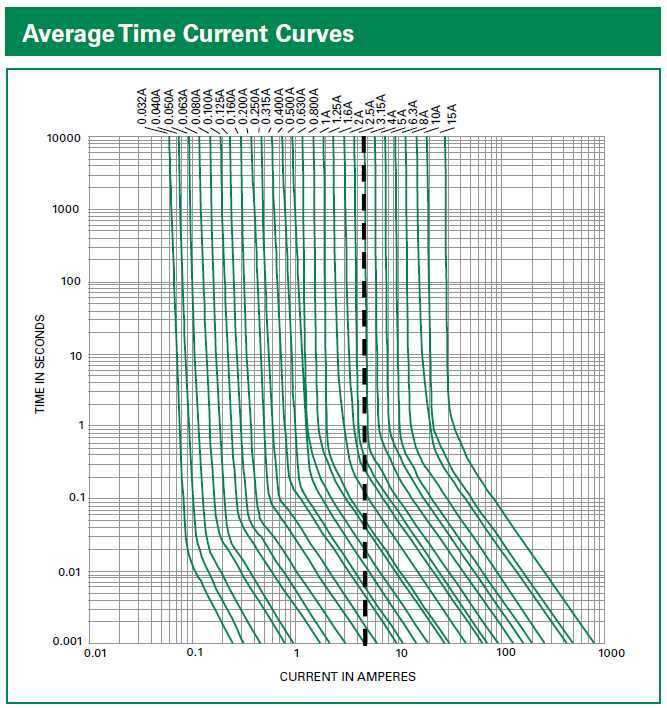 What you need to know is average time current curves for fuses. Pictured below is an example of what I will need for this amplifier. Maximum current to do 100 watts into 4 Ohms was established in my last post to be 5 amps. The right hand edge of the dotted line is drawn up from the required current of 5 amps and it intersects the curve for a 2.5 amp fuse at 10000 seconds (2 and 3/4 hours - it may as well be indefinitely), and so if I fit a 2.5 amp quick blow fuse in the power rail (F1) it will do the required 100 watts into 4 Ohms. I was doubly surprised to be reading a book in 1991 about Harry Nyquist's power amplifier criterion. First surprise was it was nothing to do with digital audio, and the second surprise was his conclusion regarding the sizing of the device - valves in those days - but it applied equally to transistors. He stated that the power of the device in a push-pull circuit (such as here) need only be one-fifth of the required power. I did the numbers game and had to agree. Now this assumes none of the phase shifts from reactive loads or short circuits or impedance dips - but it's good to know. So for 100 watts our starting point is 20 watts per output device. But I'd have need of some complicated protection circuitry to prevent blow-outs when the load isn't purely resistive, or when there's a short, or when somebody turns the volume up beyond clipping. Rather than spending money on protection why not spend it on a better output device? In the 70s we had the 2N3055. Rated at 115 watts it was good for nearly 600 watts according to Nyquist, but its current gain cut-off frequency was only 10kHz, and so it was problematic at higher frequencies. Even so it needed little protection and a suitably rated fuse usually opened before the device failed upon applying a dead-short. With the Motorola homotaxial version I remember applying a short with a screwdriver; the arc melted a chunk out of it, and the amp continued playing music on its mains transformer and output capacitor (very distorted) instead of the speaker. The fuse in this case never opened, and upon removing the short, the music continued to play through the speaker. Maybe it had lost some performance but I didn't have an audio analyser at the time to check it (roughly 1978). To improve on performance over the 2N3055 used to mean using faster transistors which had poorer current handling, which meant paralleling devices, and paralleled bases could contribute more input capacitance, and often you would see two or more paralleled output stages driven by the one voltage amplifier. The voltage amplifier then had to supply more current, and the basic bootstrap circuit was replaced by a current source, and more transistors led to more different and inconvenient phase shifts with the stability problems they present. And in fact my memory of the kit amp is coming back to me, and it used a current source in place of the bootstrap (R9, R10, C5), but maybe the bootstrap will suffice? We will have to wait for the measurements, which means building one first. So what am I going to use as output device? I think it must be the MJL3281A ( https://www.onsemi.com/pub/Collateral/MJL3281A-D.PDF" rel="nofollow - https://www.onsemi.com/pub/Collateral/MJL3281A-D.PDF ). At first glance its 25 amp peak collector current looks good, but that's tested for 0.005 seconds, and it would take between 0.01 and 0.015 seconds for the fuse to open at 25 amps. It is 15 amps continuously, and the fuse would take 0.04 seconds to open. Will this be fast enough to open the fuse before the device is destroyed? And this is where the word "compromise" comes into play, linked with the phrase "damage limitation". We see a 2 amp fuse opens in 0.008 seconds - closer to 0.005 seconds for 25 amps peak collector current, and there will never be an audio signal large and long enough to open a 2 amp fuse in normal use. On spec-test being driven continuously by a sine wave it could blow, but maybe not. Such a variable will need to be tested practically. But I think the MJL3281A is a good choice. We see all other items of its specification are darned well superb, especially its current gain and transition frequency. So how do we drive it? Under a direct short output condition simulation shows the output capacitor, inductor-bypass resistor, and emitter resistors all taking a hit as expected, and experience says the power supply will not escape. Sub 1kHz the large electrolytics of the power supply and the output capacitors will suffer worst, with anything up to 15 amps of ripple assuming output transistor survival, but by paralleling two 9.34A ripple capacitors on the output, and the same with power supply reservoirs, these should take it. The inductor and bypass resistor bear the brunt above 1kHz and must be suitably rated. The emitter resistors also need to be rated suitably. 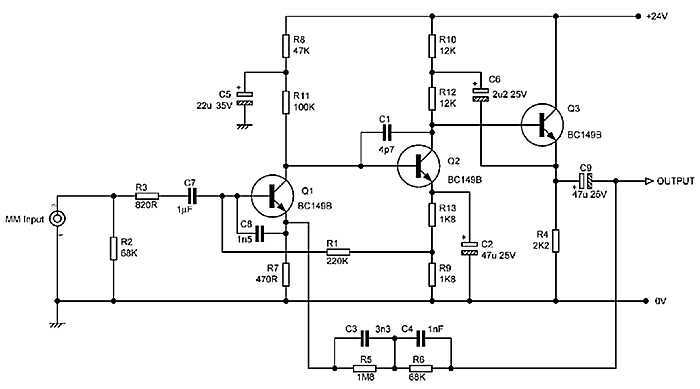 At 1kHz roughly the output transistors have to deal with all of it, and with NFB shorted at the output, the amp falls to open loop gain, and so all devices are working hard heading in the direction of 40dB gain. The risk here is in exceeding what the BD139/BD140 drivers can do. The bases of the output transistors will be demanding more current from them. Output device saturation might demand up to 1.5 amps base current, which is the limit for the BD139/BD140's. But if the output devices weld-up before the fuse blows, the only survivor is going to be T1, and maybe T2. So what could be done to prevent this? The only answer is to limit current, but this never works as imagined, and tends to cut in at the wrong times - when the power is needed for the amplifiers normal task. Current limiting always involves a resistor somewhere because output stage transistor clamps would otherwise short out the voltage amplifier. The problem here is it messes up phase and gain margin, so stability is compromised at the expense of saving the amplifier. A clever relay circuit sensing fault conditions might be the answer, but what does it switch off? Try getting relay contacts to open with "fault current" across them - they simply don't because the arc produced is trying to weld them together! Having worked on designs supposed to have such protection I know the protection simply doesn't work, and instead my time was spent identifying and replacing blown transistors. The consumer needs to be alert to the fact that short circuits are of his making and will cause damage, and not to blame the amplifier manufacturer for his errors. What we want is all-out performance, but that means the utmost care in using the amplifier. It looks like our only hope lies with the 2 amp fuse! I have always assumed that we should not short outputs and have always taken great care when doing anything with speaker connections/cables etc by switching off the amp. When did it become ok to short out your outputs though lack of care? Mind you I also have an amp that gets upset at high capacitance speaker cables so it puts me on edge. With commercial amps for everyday sale, it's very much about protecting the user from themselves. Terms like "reasonable expectations" and "fit for purpose" come to mind, just how much expertise and care should the user exercise when using an amp? We've all at times done something careless or unintentional, the consequences of which we suffer. If it's only a blown fuse a few curses, hunt for a new fuse and away we go again, with a little more care; if however transistors etc are damaged that's a different story. Even with home designed/built equipment where you know the consequences of shorting the output accidents can happen, so a degree of protection is reassuring. Also designing for a worst case scenario will help prolong the sound quality and the longevity of a power amp. Reducing stresses on the circuit components will always improve the overall performance of any electronic system. Yeah , it was more a comment people not taking responsibility for their actions these days and having to protect them from themselves. No Sarcasm or Irony emotion available so perhaps too dry a post. I appreciated the hint of sarcasm and was attempting to build further on it. Pragmatism then took over. Though it does seem that users are absolved of responsibility these days. So looking at the fuse again there is a glaring error. See where it is? In the positive supply? This means that T7 has to rely on T6 fault current opening the fuse in which time T7 could be destroyed, etc. A second fuse cannot go in the ground supply because its resistance increases and falls with load current, so would insert ground current which causes ghastly noises. The one place it will open for both output devices is the output itself, but what's this about its resistance growing and falling? Bob Stuart of Meridian realised this and did something about it. He took the NFB after the output fuse so it would reduce any distortion it caused. And Leak did a similar trick to reduce output capacitor distortion several years earlier. And in a way it's a bit like current sensing motional feedback. I did the same in the 1992 MA230 studio amp, and it isn't as straight forward as it first appears. Should the fuse blow the negative feedback, which being part of the DC circuit, becomes no more, and the amplifier would not be biased. The only thing which can be done is to divide R8 into two resistors and ground the mid-point via a capacitor, and then the amp will remain biased at DC, but there will be no ac negative feedback at that point. The fuse can be conveniently placed in series with the output capacitor followed by the negative feedback take off point just before the output inductor. It then not only helps reduce fuse distortion, but also any capacitor distortion, doing both the Meridian and Leak trick in one go. The ac "duplicate" of R8 being taken to the output side of the output capacitor will therefore have the wrong voltage - ground instead of half rail, and as it is only now dealing with ac, we can block DC using another capacitor in series with R8. I've added fuse F2 in the output and included it and the output capacitor in the ac negative feedback loop R13/R7|R11 coupled by C8, C4 and C7. The DC negative feedback is provided by R18, C7 and R11. I kept fuse F1 in case it all goes wrong. I added T2, T3, R12, R9 and R10 in place of the bootstrap because it essentially does the same thing but without phase shift at low frequency. It is in fact slightly better than a bootstrap in that it causes T5's open-loop gain to go substantially higher and more linear, this being the voltage amplifier stage (VAS). I have added C5 which was discussed earlier to improve the gain margin. Another addition is the resistor, diode, capacitor network (C9, R20, D1) in T6 emitter, which is supposed to make the output more symmetrical. It was originally presented by IM Shaw in Wireless World 1969 and analysed by Peter Baxendall in a later issue that year, then modified to include the capacitor by John Linsley Hood in 1972. The last addition which may be used or may not, is the RF input filter R5 and C3. It attenuates RF and shunts it away from the base emitter junction of T1 to prevent this diode junction rectifying RF. But it can cause instability because it can be seen to be part of the negative feedback circuit, in parallel with R7 (via C4). It now needs some component values adding from the simulation model. It looks good on the simulator but the simulator cannot tell us everything, so it will have to be built and tested, and if all works out well, listened to, and hopefully it sounds good. And the reason for it being so "old fashioned"? This is 1970s Design Indulgence! Would a resettable PTC fuse work for F2 ? I took a day off work to err reread this (honest..) , didn't help , may need another day off, now wish I had not thrown away my Art of Electronics when I started working in computers. Perhaps a view based on listening to old instances of '70s' amplifier designs rather than at the time when they were new but I have always had perception of a less open top end than later newer designs. When I heard my current amp against my then amp a Nad 3030, which I always like for its warm pleasant nature, I was shocked about how much it was rolled off and it was promptly consigned to the sound system at my father's garage. Is this a trait of 70s amplifiers in their design or component capabilities or merely the aging components in the examples I get to listen to? Ahem not suggesting any designers here would be producing such a design. ...but I don't think it would do the sound any favours. Too resistive near it's breaking point. Possibly, but I think you know me better (in-fact I know you do). I think it would have been the introduction of audio-quality op-amps circa 1975 (Signetics division of Philips and the NE5532) which opened up the clue to how amplifiers could be made to sound (dare I say it?) faster. In fact, a certain Mr Self took something like 48 NE5534's I believe and put them in parallel to make a power amplifier. Quite crazy but I believe it was to prove a point, but my own conclusions might not be as Mr Self imagined. Steve's copy of the Art of Electronics might have helped and I'm referring to the item on "Slew rate, an in-depth look". It is OK making the first stage current charge the second stage integrator capacitor quickly and claiming the slew-rate the mathematics suggests, but if the input can only take 20mV rms this is of little use. And power amplifier inputs are more like 500 - 1000 mV. The Art of Electronics looks at input latitude in relation to slew rate in its study of op-amps, and op-amps are really only a miniaturised power amplifier. In a transconductance amp the base can only rise so far before saturation and then the input signal is actually bypassing it and driving the next stage - the integrator capacitor - which is very silly, but nevertheless it happens. 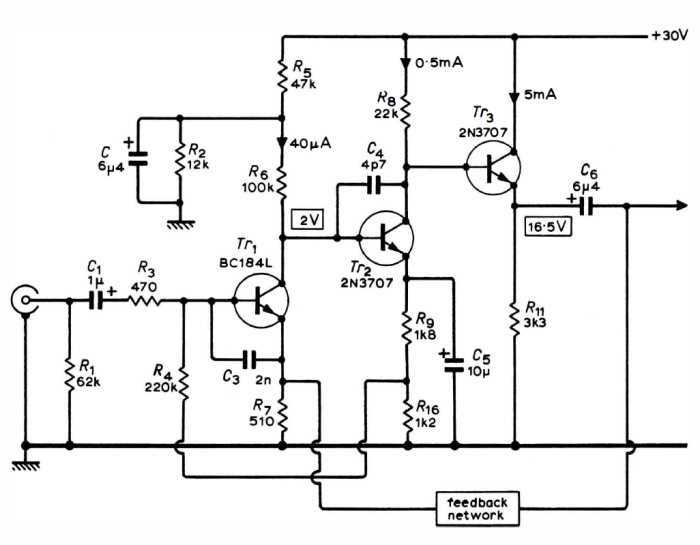 The NE5532/5534 have been claimed by onlookers to feature emitter degeneration resistors in the differential inputs, which using the Art of Electronics equation seems plausible, but open loop gain might suggest this is not the case. It could however be the 100pf capacitor across the collector load which is imitating the existence of such a resistor. You will need to understand intrinsic emitter resistance and how transistor gain can be adjusted by adding to it, to see that the same sort of thing is happening using the capacitor. Anyway, to cut a long story short, emitter degeneration increases slew rate in real terms (or allows it to happen when the input is large), it is a form of negative feedback but it doesn't reduce distortion and it increases noise, so it is not well liked by specification chasers. In the two designs commented on above, as far as I can tell, this is not used. And in my proposed design I omitted it so thanks for raising the question which jogged my memory. Some will have it that R7 in the latest diagram (previous page) is the additional emitter resistance and I don't need to bother because negative feedback sort of bootstraps this point. But it sort of bootstraps in a differential input without (or with) emitter degeneration resistors, so I don't see the emitter degeneration as being R7. Yes, what it does by bootstrapping is increase input impedance, and input latitude but that latitude is wholly reliant on the negative feedback. What it needs is some series resistance in T1s emitter, such that it is a useful number larger than its intrinsic resistance (IMO). At present it is around 38 Ohms, and playing with simulation I found the addition of 75 Ohms did not upset stability with the existing integrator capacitor. By making it bigger the integrator capacitor would have to follow suit, defeating the object. Using the Art of Electronics' deductions slew rate will be increased by new resistance over old resistance which is 113/38 or nearly 3. That factor being plugged in as the value for "m". We could calculate slew rate for the amplifier using the op-amp formula given, but this isn't a differential input so will probably not hold true. But if we did, and the amp's bandwidth modelled suggests 3MHz, then by 0.3mFt we would have 2.7V/uS... not good, but if we used the same formula on the amps asked about we would see that much lower, and slow slew-rate doesn't sound good at all. Calculated the old way, the amp as presented will have a slew rate of 20V/uS. Confusing isn't it? Oh, and by the same calculation the 3030 is 11.6V/uS, and the 303 17V/uS, but neither have emitter degeneration. And in actual fact they both used 2N3055's (Quad renumbered theirs), but the 3030 uses the 2N3055's complement (MJ2955) in the lower half of the push-pull. Ft was 2.5MHz and if those amps were stable then I don't know how. All the arrogance in hi-fi made those on the sideline go somewhere else, so who's going to be crying soon? Things that go around have a nasty habit of coming around and hitting one where it hurts. The industry had plenty of sales prospects but instead it trashed its future existence, and Michael Heseltine saw it as he offloaded What HiFi to T3 recently. It means that Joe Public is buying the opposite of hi-fi as we know it, and doing it by the container shipload. Those items do not use the precious transistors high fidelity truly needs for its viability. And so if there is no demand - and these things are/were made in batches of several million devices at a throw - no semiconductor manufacturer is going to make them. So what do I use? NOS? Now it's time to select suitable devices for T1 to T7. I have reverted to using the bootstrap R9,10,C5 on page 5, but the rest of the circuit is as page 6. I will redraw again and this time include the series resistor in T1's emitter. Part of the reason for reverting is because of the dearth in good PNP transistors to entrust the current source to - just like the 60s and 70s in-fact - and OK there are some, but some is getting so close to one, then zero, for comfort. The 2N5401 (a Bob Cordell favourite) isn't listed by RS or Farnell anymore, and only Farnell seem to offer a suitable device for the voltage here, and that's the KSA916... what's a KSA916? Luckily in my search for a SPICE model I found it's a 2SA916 but now made by On-Semi, where I suppose the K replaced the 2. T1 can have up to 67 volts emitter to collector on maximum output swing, so I reckon a 120V device is going to be a safe bet here. Anyway, it simulates OK.
T3 is a definite Bob Cordell favourite (Bob Cordell: author of "Designing Audio Power Amplifiers") for its high, so forget it, collector-emitter voltage (160V) and its other behaviour is pretty good too. Rather than searching for something else just to be different, I may as well stick with something popular, and it might still be around in a few years time. Incidentally the 2N5401 is the 2N5551 compliment, and you'd think it would be just as available as the 2N5551, but sadly not. So that deals with the voltage amp stage, what about the rest? T2 is what's called a Vbe multiplier because it provides for the number of Vbe drops presented by the power output stage. To prevent thermal runaway it needs to sense the rising temperature of the output transistors, and when it gets warmer it conducts harder, bringing the Vbe's down, and preventing thermal runaway (which is very destructive in bipolar output stages). Therefore it makes sense if it can be bolted down to the heat-sink to make thermal contact, and the BD139 therefore makes a useful candidate. So we'll use a BD139 for T2. Let's now skip to the output transistors T6 and T7 (page 5) and you will note these are identical devices, running the bottom of the push-pull in quasi complimentary configuration. This is definitely a 60s and 70s thing where a good PNP compliment wasn't available, so for authenticity we'll make both NPNs. Now, to save grief, and remove the need for troublesome protection circuitry, we need to make these man-enough to take the knocks but good enough to sound great. There is one device which fits the bill and it's the MJL3281A. Boy, if we had those in the 70s! But we didn't - we had 2N3055's - and problems. The MJL3281A is designed for high power audio amps. It does have a "perfect" compliment (PNP), but I'm not using it, as explained above. It dissipates 200 watts, works up to 260 volts, will do a continuous 15 amps and 25 amps for 5mS. Most of all it has good current gain which extends high in frequency - its transition frequency being 30MHz - 12 times better than a 2N3055. It doesn't need much drive, but if it gets into trouble (a short) it will "pull current" so I reckon the BD139 (for T4) and BD140 (for T5) will be more than obliging. These are 80V so just within on maximum swing; 1.5 amps which is sufficient for if the MJ3281A's do go out to 25 amps; and will dissipate 1.25 watts without a heat-sink. I think they will survive at that. We also need to apply the distortion reducing fix illustrated on page 6 where a network of diode, resistor and capacitor make up for the "missing emitter", and I think a 1 amp diode such as a UF4002 will be OK. Here's the stability plot showing a near 4MHz gain bandwidth product, over 90 degrees phase margin, and nearly 30dB gain margin. Frequency response showed 4Hz to 160kHz -3dB. Is T4 on page 6 called a "Vbe multiplier", with the output current control? Adjusting the voltage difference between the bases of the output drivers adjusts the current in the final output stage... adjusting for maximum drive with minimum distortion. I can see mounting T4 to the output Xistors' heatsink would help compensate for temperature variations after careful setting of the "normal optimum" output current. Hi Bruce, yes, T4 page 6. You rightly say they minimise distortion and this happens by making the push-pull stage conduct a small amount of current. In class B output devices would be off with no signal, and the first 0.6 volts of signal would be wasted until the output transistors started to conduct. This sort of distortion is called crossover distortion (nothing to do with loudspeaker crossovers). In actual fact here it is 1.2 volts because on the upper section (page 6 diagram this time) there is a 0.6 volt drop base to emitter on T7 and another on T8. On the lower section there is -0.6 volts base to emitter on T6, and another on the "missing emitter" network because of D1. Biasing them on by pulling the BD139/140 bases apart by 2.4 volts causes the 4 output section transistors to just start to conduct. Then something interesting happens: because they just start to conduct (a few milliamps) they start to warm, and because they have a positive temperature coefficient of 2mV/degree K, they start to conduct harder, which makes them warmer, and then they conduct even harder... and so on until they self-destruct. This has the effect of turning the output stage off a little, stopping it from going into self-destruct. This self-destruction is called thermal runaway, and with T4 (page 6) being in thermal contact, prevents this thermal runaway. It is then a relatively easy matter of adjusting the trimmer R16 (page 6) to give more or less standing current (sometimes called quiescent current) in the output stage, such that none of the signal is lost in turning transistors on, and therefore there is no crossover distortion. We call this type of stage class AB because some class A current is applied to a class B configuration. The Vbe multiplier was sometimes made a different way. A string of 3 diodes plus a trimmer would connect T6 and T7 bases. The trimmer imitated an "adjustable diode", so that's how you got the four Vbe drops (4 x 0.6 volts). The diodes would be glued to the output transistors or their heat sink and they behave with exactly the same temperature coefficient as a silicon transistor. However, the trimmer exhibited resistance (obviously) and with the base capacitance of the drivers formed an additional frequency turnover which could upset stability, and therefore we end up with the Vbe multiplier transistor instead. But if we delve even deeper we see that the Vbe transistor has intrinsic emitter resistance, and here it will be about 3 or 4 Ohms. This is a lot better than what a diode string's trimmer would be. Some think this resistance needs bypassing with a capacitor and I've seen 47u to 100u used. But think about it. What frequency will that go from? Around 400 Hz... it's not really worth it, and the inductance of an electrolytic here has been known to upset stability. Best left well alone IMO. The bystander may not realise this but the case (the proper term is enclosure) layout has a direct bearing on performance. An integrated amplifier has some sensitive circuits and also a mains transformer, and these need distance between them to minimise pick-up noise. This gave rise to the layout which all 70s integrateds seemed to use. And this was the most sensible approach but it did compromise output power. The transformer would be mounted far to one end of the case so that preamp circuitry would be mounted the other end, thus creating the distance required for the decay of magnetic interference. The transformer would be a toriodal type to further keep interference down. Surprisingly Japanese amps tended to use frame transformers and get away with it. So, with preamp one end and transformer the other, the power amp went in the middle, and this is where compromise is involved. The heat sink ends up inside the case and both channels end up sharing it. In a slim line case heat sink length (height to you and me) is limited to about 2 inches (5cm). It is sandwiched between the transformer and the power amp circuitry, positioned front to rear usually, unless the case was of such size that it could be inline with the case width (such as the Audiolab 8000A), but limited in heat sink width. The "unconventional" Naim Nait case allowed a different layout. But all had the compromise that the heat sink wasn't really big enough. We expected plenty of output power - 50 WPC into 8 Ohms was the usual aim - but it could not be achieved continuously, even though the specs said it could be. The best thermal resistance we can hope for is about 1.5 degrees per watt for the size of heat sink that will feasibly fit. We are hoping for 100 watts in total, and not including the thermal resistance of transistor isolation pads and lack of airflow, we can see that 1.5 times 100 will lead to a 150 degree C temperature rise! By mounting the heat sink to the chassis, and making the chassis aluminium, some more heat can conduct into the case and so the thermal resistance improves, but maybe only a little. It really needs to be no more than 125 degrees C including ambient temperature for the transistor junctions to survive. So assuming this we put it on test at 50 WPC continuous, both channels fully driven, to do our measurements, but we will have to be fast or the case will eventually catch up temperature wise and burn the skin! So, when the spec says 50 WPC continuous both channels fully driven, it is NOT continuous in the way we may believe. It is for perhaps one minute, or even less, just long enough for the tester to check its specification, and with today's automated analysers it may be for only 10 seconds. In use it will never get as hot because the 50 WPC limit is the peaks of the music, and so the power will be mostly down at 0.5 to 1 watt. This assuming the volume control set around 12 o'clock. And with musical peaks it might average out at say 5 watts. Therefore the temperature rise will be in the region of maybe 20 degrees all things considered, for a rousing listening session. Taking ambient as 25 degrees C, the case will feel hot but it will not burn the skin... 45 degrees C (113 F) is hot bathwater temperature. is this going to lead to a new integrated amp or only a power amp? A 70's sort of integrated. i’m not following (it’s beyond me), but i’m listening with interest. For Bob and Ifor: I am taking an in-depth look at each part that makes up a "70s integrated", and in doing so I'm examining the possibility of whether it is viable to manufacture one - or offer one as a kit. Much has changed over the intervening years which presents many challenges in being able to successfully implement such a design. But I do believe the eventual outcome will be of interest to some. I expect that some to be a small minority, possibly in the same age group as myself. I also know there are people who have said they would like this, or a "good old fashioned preamp" or a stereo power amp, and in designing the whole, it can be split into its separate functions. It sounds good to me. I like the idea of a kit. In all honesty I've been largely baffled by this topic but it has been interesting nonetheless. If this project came to fruition, would I be able to use it with my GS phono stage and headphone amp? Thanks. Very much so... the phono stage would be a perfect input to the power amp described on the last 4 pages. If Graham were to include a "line output" as in a "tape record out" and a "tape monitor loop" with monitor switch, the headphone amp would connect to the "line output" and the power amp stage would be muted by the "tape monitor" switch. This would make the system play music through the headphones WITH or WITHOUT the speakers by switching the "tape monitor" switch. Terrific. Thanks for the explanation. The best way of implementing input switching is by way of wiping contacts, as it was in the 70s (mostly). But you will see the vast majority of amplifiers today using relay contacts. It is important to wipe because it keeps the contacts clean, and relays don't wipe! Technology for convenience, and for technology's sake, has supplanted the interlocking switch-bank so much so that the minimum order quantity any producer will entertain is 20,000 pieces (I enquired and that's the answer I got). So what do we have left? We have Lorlin and their rotary switches, and long may Lorlin reign, or high fidelity will suffer. The number of switch positions decide how many inputs we can have. If we choose a 2 pole switch, which we will need as this integrated amp is stereo, we can have 6 inputs. But what if we wanted zero or minimum crosstalk from adjacent channels? Few users actually leave other inputs playing, but some try it as a measure of the quality of the amp. The only way to deal with this is to have an additional 2 poles, which rather than make, break, and the output is taken to ground, thus shorting all other unselected inputs. Here we have two problems: 1. a 4 pole switch would only have 3 ways - that's 3 inputs; and 2. it would have to be specially made and they will either charge a large premium, or insist on a colossal minimum order quantity. Again we can see how progress has removed what was once commonplace: such switches were in regular production in the 60s and 70s, but are not viable today. So, in using a 2 pole 6 way switch we must exercise caution by just playing one source at a time, which most of us would do anyway. ...or thereabouts, and so on. Reducing it all down to between 30 and 100 mV meant that a first stage could be a simple buffer feeding the volume control, and thereafter all the required gain (and things like tone controls) could take place. The beauty of all this was the incredible headroom it gave, but more than that, it gave good distortion results by keeping the signal swing small in relation to the available possible signal swing. The distortion only rising when the amplifier was used hard. It is now my task to figure out the best way of taking the input signals and applying preamplification to them. I wonder what Konrad at Dodocus uses. His whole business seems to be switches for one Hi-Fi purpose or another. We have Lorlin and their rotary switches, and long may Lorlin reign, or high fidelity will suffer. Lorlin rotary switches are made in Sussex, England. They are very high quality at a very good price. Graham has stated elsewhere that he prefers to source the parts he uses from UK manufacturers. Oops, I used an Elma for my 'pot in a box' preamp when I first got the Proprius amps. I moved up to a Majestic and haven't looked back. Until now as this thread has me curious about 70's amp tech. It is great to revisit the circuits of my youth with someone explaining them properly, many thanks Graham. Continuing on the theme of input switching and input attenuation, the following circuit fulfils the requirements and adds tape loop and an aux out prior to the volume control. Each gain stage gives 10dB (3.17x) using probably the most stable, least complicated configuration possible. T1 and T2 (T3 and T4) form a super beta or darlington transistor, and with the choice of an easily available general purpose transistor such as a BC337 means we don't need a dominant pole capacitor. 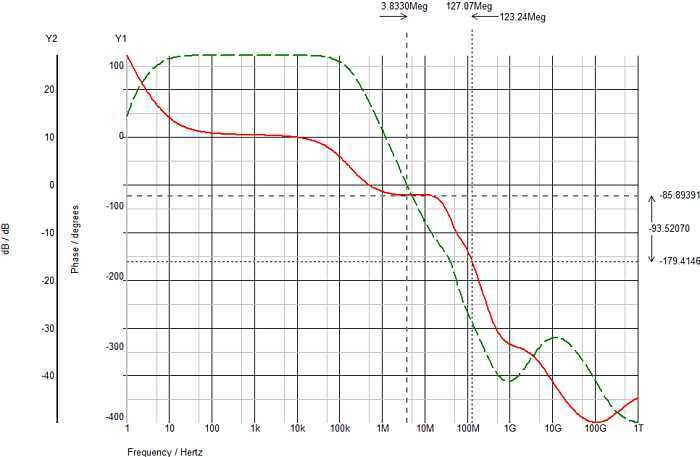 Phase margin is better than 90 degrees and gain margin better than 60dB. Frequency response is approx. 10Hz - 100kHz -3dB. R16 and 17 are included to guard against tape monitor switching noise due to input and output capacitors which the tape machine might have. R15 and R18 protect the stage from capacitive loading (such as an interconnect or input capacitor in the attached equipment). Each stage inverts so will not please those with "absolute phase mania", but this only affects the tape loop and aux out. You can have them if you want, or you can leave them out. I am not taking sides, but they were found in 70s designs, so I have to broach the subject, and offer them if I can. I say "if I can" because there is a glaring fault with the often used Baxendall feedback variety which I've never seen discussed before. Simulation shows that in their flat mid-point positions the response is far from flat! How far? 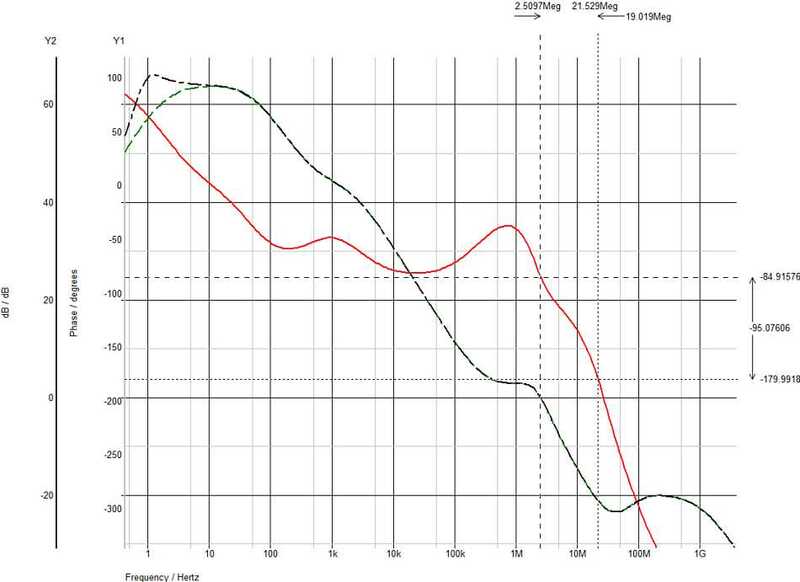 By as much as 1dB, and this might answer why the tone control debate is such a hot topic. The problem is in the preceding, or driving, stage. Because of the network being in the negative feedback loop, the output of the tone control amplifier is fed via the network at the output of the preceding stage, thus presenting a somewhat frequency dependant load to it. By simulating a series resistor in series with this output, the stage regains its flat response. The trouble with that is tone boost is compromised to a greater or lesser degree whilst tone cut is left unharmed. The problem is due to the non-zero output impedance of this driving stage, and I'm sure Peter Baxendall must have known about this, but perhaps I haven't read his full research. Drive it with an op-amp at unity gain, "100% negative feedback", and its output impedance is so close to zero that it's much flatter than the 1dB I mentioned above. But if you need gain ahead of the tone controls the output impedance of the stage rises and the flatness is gone. So, to get the Baxendall tone control to work as you'd think it should, you need to add more circuitry than you really ought to, and the more complicated it gets, the worse things sound. There is another way of implementing tone controls and that is passively, but results in an "insertion loss" of around 20dB, and that 20dB must be made up again by a subsequent stage. The Baxendall has to have its own amplifier anyway, so it isn't really a subsequent stage if you think of it that way. The complaint was always about the noise penalty of adding a 20dB gain stage, which amplifies the noise of the resistive elements - the pots and resistors - which always produce noise... roughly 4nV/root Hz per 1k of resistance. And the other complaint was that boost frequencies didn't correspond with cut frequencies. It can be done with simulated inductors a'la graphic EQ, but this requires at least two additional op-amps. We don't want any op-amps! I shall examine what can be done. I suspect the tone control debate is quite polarised. My Big Luxman amp had/has a flexible range of bass/treble adjustments with bass centre points of 150, 300 & 600Hz and Treble 1.5, 3 & 6k. I cannot comment on the type of circuit used but I thought these were great at the time. Were they ever used? Not really, initially on some cassette/old Reel to Reel Recordings and FM but then no and never on vinyl. I suspect the sound produced by many systems pre mid '70s wasn't very well balanced and tone controls were used to either work around the system inadequacies (radiograms etc). In other cases maybe user preference (how many times have you been in to Halfords or a hire car stereo with the bass and treble both fully boosted?). Winding the clock on 40+ years and it would be reasonable to expect that proper matching of components should mean that the sound isn't excessively bright, dull, bass heavy or light. Yes some recordings may well have a leaning towards being bloated, thin, bright, dull etc but my take is this is part of the listening experience and if I had my Luxman plugged in I wouldn't be dashing to adjust the tone controls between recordings. I am sure others will have differing views but would be interesting to know how many users have tone controls and do/don't use them? tweeter speakers, but on a well designed amp don't think tone controls are really necessary. I think I will do another topic tracing the career of Doug Self to see if anybody else does or did actually design anything in the UK... or China! So far I have on my list Soundcraft and IAG. I think I shall have to change my name to Toto... everybody else seems satisfied in this Merry Old Land Of Oz. Anyway, back to tone controls. The lack of flatness in the "off" or centred positions of the tone control potentiometers can easily be 1dB, and in phono stage design you can be lambasted for 0.5dB (although the RIAA standard allows for 2dB), just to put this into perspective. The 1dB found using transistor stages, because of their simplicity and poor gain meaning that there is little negative feedback compared to op-amps, can be reduced to perhaps 0.1dB by using op-amps, but then you are reliant on the chosen op-amp for its sound. Anyone believing that op-amps all sound the same is a fool. This is why some tweakers "roll" op-amps in their never ending quest for I don't know what. The op-amps chosen for professional equipment are invariably the NE5532 or LF353 or TL072 (these are dual versions) and nothing so signatured as one reads on "the forums". I am in agreement with the late amateur designer JLH in that the best sounding of the three is the LF353, but you will find Mr Self's preference is for the NE5532 because with it he can provide much better distortion and noise specifications. So, in order to build a tone control which behaves nicely in its off position whilst still passing good sound, we must use LF353 op-amps (as JLH once did). This 1970s design indulgence cannot use the LF353 because it wasn't around at the time. It has to use transistors, but the tone control has been thoroughly outed as an "unruly child" and seeing that most members had voted against tone controls in a poll conducted a few years ago, this design will not use tone controls. Time to forget them and move on. But before I do, I will mention that I had a go with a passive tone control in simulation, and did get as low as 0.1dB flat. The big problem being that interaction between the bass and the treble led to some weird results at anything but their full boost, full cut or off positions. Anything in-between was completely different to what is assumed, and therefore they can only serve to confuse and frustrate the user. Oh, and I had received a suggestion once about using the Quad type see-saw tone control. Forget that too as it does some quite weird things around its centre point. I will repeat: time to forget them and move on! I have a similar experience with my Marantz PM64 MkII. Nevertheless, quite a good sounding amplifier and still going strong in a secondary system. Here we see my completed 2018 prototype of my late 1970s kit power amp design, brought up to date from lessons learnt and talked about in this topic. It now needs to go into its "test bed" along with the power supply which is next on the construction agenda. Not having the ground shorting switches which used to reduce crosstalk from adjacent inputs available to us today we need a different answer. The input to T1 base is actually a "virtual earth" which means it is low impedance to the selected input (or as low impedance as it can get using a simple transistor stage - op-amps being much better in this respect). All deselected inputs are high impedance due to R11 to R16 per input and so any crosstalk between a deselected input and the selected input should be severely attenuated by the low impedance virtual earth junction. C1 serves to block DC. So here we start with the test-bed stage and the test-bed case isn't far from the expected size of the finished article. The next thing we need before the power amplifier can be tested is the power supply, and we have everything but the board to connect the reservoir capacitors up to, so that has to be artworked and made next. It's great to see the circuit diagrams come to life in a tangible form! Something we can relate to, even if don’t understand it! 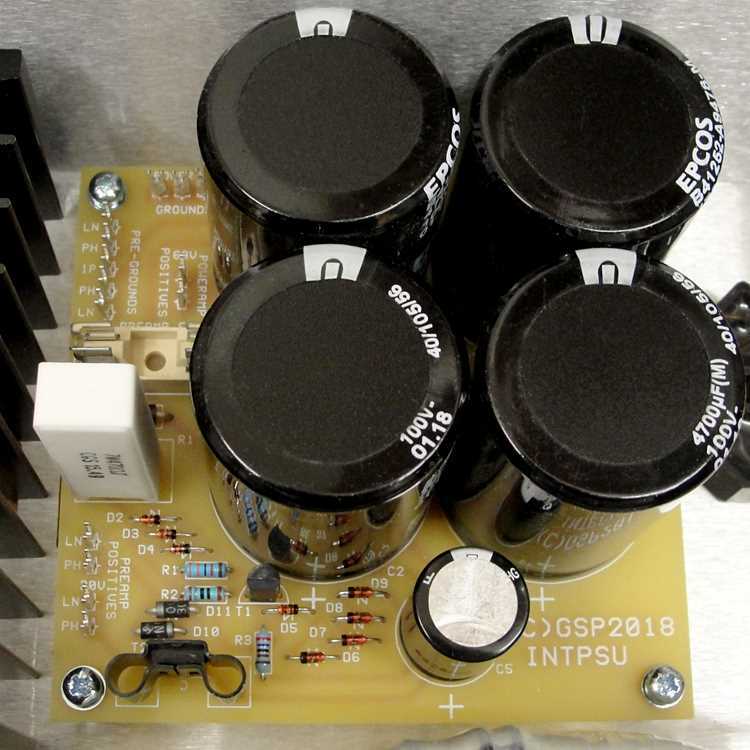 Not only do the power amplifiers need the power supply reservoir capacitors mounting on a board, the preamp section will also need somewhere for its regulated supply to live. The preamp power supply has to convert the "raw" unregulated DC voltage emerging from the reservoir capacitors to a ripple free lower voltage. We seem to have settled on 30V for our preamp (and phono board) section so that is the voltage we need from the regulator. Its job is to take a varying 68 to 81 DC input volts and do a constant 30V DC. The diagram below illustrates a circuit capable of the job. It is a zener stabilised series pass transistor with a few refinements. Here I have chosen the medium power BD139 as series pass transistor, but expecting it to take the full voltage drop from as high as 81 volts to 30 volts would have it dissipating around 2 watts as heat, and that will need to be given up to the ambient air using a heat sink. We don't have a large area available in our busy integrated amplifier, so by splitting the voltage drop between a resistor and the BD139, the BD139's dissipation can be halved and we can therefore use a smaller clip-on heat sink, hopefully saving space. The resistor and BD139 sharing the voltage "loss" dissipate around 1 watt each so a 26 degree per watt clip-on heat sink will see a temperature rise of 26 degrees, and if we assume an inside case temperature of 35 degrees, the device will reach 61 degrees C. From its power derating curve specification it can be seen that it can do up to 10 watts at that temperature, so 1 watt will be OK.
You may also remember that the absolute maximum voltage for the BD139 is 80 volts. The series resistor also helps protect it by reducing the voltage to just under 60 volts worst case. Further "belt and braces" protection for if the input voltage rose much above 81 volts with much less output current demand, is provided by the "if all else fails" 75V 5W zener diode between the BD139 collector and 0V. It is very doubtful such conditions could exist, but you might have heard of "Murphy's (and Sods) law"? I established that the entire preamp section will draw 40 milliamps, which with the voltage drops shown gave rise to the power ratings of the input resistor and the BD139 transistor. But depending on the preamp options chosen by the constructor the voltage drops will differ, and so the current in the zener stabilisation chain would be different if fed by the usual resistor arrangement. Instead, here I am using a current source to keep the zener chain (4 x 8V2) at around 5mA (5.6mA actually) which is their "sweet spot" current. The current source is: the three diodes dropping 1.8 volts; the 33k resistor; the 2SA916 transistor; and the 180 Ohm current setting resistor. A diode labelled T.CO is included in the zener chain which has the inverse temperature coefficient to the zeners to give temperature stability and also gives us a bit of extra voltage for which to lose across the 2.7k resistor part of the "cap multiplier". The BD139 base will draw roughly 1mA. In fact it is all approximate because of component tolerances, so currents vary somewhat, and voltages to a lesser degree because nothing is perfect in electronics - something we all ought to learn! The "cap multiplier" is an imagined idea that if we place a capacitor (100u in our drawing) on a transistor base, the transistor's DC current gain will "amplify" it, making it a much bigger value. In this case around 4,000uF. However there is the BD139's intrinsic emitter resistance of around 0.625 Ohms in series with it and a 4,000uF capacitor would not have an ESR of 0.625 Ohms! The 2.7k resistor and the 100u capacitor do provide the BD139 with a very stable base voltage however, and this RC filter alone will give us a PSRR of over 40dB. The zener chain will also reduce power supply ripple substantially. The two 1N4002 diodes protect the BD139 from reversed polarity during power down/switch off, and the 100mA fuse protects against an accidental dead-short on the regulator's output. And the reason for the zener chain? A single higher voltage zener would dissipate more power and generate more heat (and therefore produce more noise as well). I also have hundreds of 8V2's in stock gathering dust! 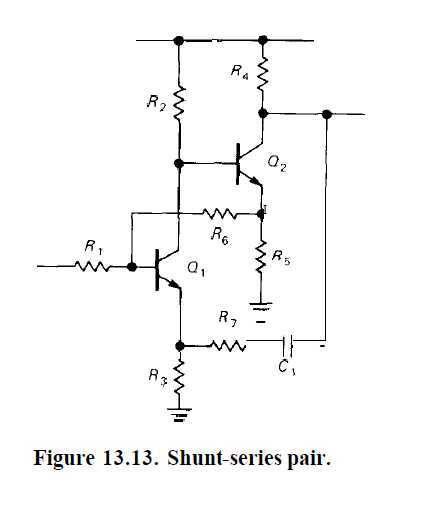 if I understand this correctly you are having a pre amp power supply and power amp power supply? If so will you have twin mains feeds to avoid one interfering with the other? In the example shown, the pre amp power supply feed is from the power amp power supply. thanks not easy to see on my phone! That would be the case if it was split into preamp and power amp separates but in an integrated you try to cover all bases the best you can. Take for example full power into 4 Ohms both channels driven continuously. This results in 5.3V of ripple (100Hz) on the collector of the BD139. In fact the 68 volts will drop slightly too. It would have to dip by as much as 10V or a little more including the 5.3 volt ripple to defeat the preamp voltage regulator. A 2 Ohm load per channel continuously might see a little ripple getting through, but with a real world musical source you'd be into serious clipping before then, and you'd simply not drive it that hard. However, at full output continuously into 2 Ohms the fuses are likely to blow. In normal use, even hitting maximum power on transients, and even with awkward speakers, this isn't going to happen. Even into 4 Ohm speakers with impedance dips. 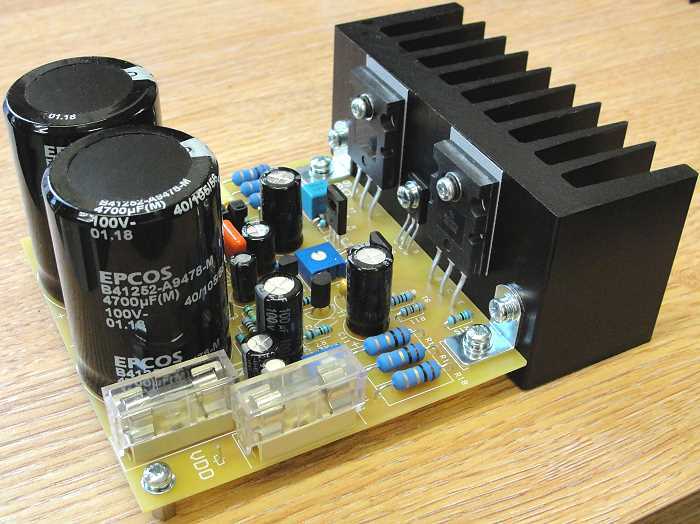 This long running blog-by-diary article has I suppose become an amp design in public, and one that is starting to show little resemblance to a 70s design except for it having a single rail supply which necessitates output capacitors (so shameful?) and it also has a "singleton" input transistor in its power amp. Here you may note the condescending use of the word "singleton"? I would agree. Actually the word is more usually somebody's surname. I don't use it but I know two people who do. I think it indicates a certain arrogance, don't you? Unfortunately such arrogance exists in hi-fi amplifier design circles. It is supposed to be guilty of causing distortion in the one, but not in the other. What amount of distortion do you think is audible? The golden ears think 0.01% is... whilst speakers produce considerably more... Yes you can hear 0.01% distortion through up to 10% distortion!? Moving on, and I remember 70s integrateds usually featured scratch and rumble filters. Do you remember them too? I always thought them a waste of components, and that was in the 70s, and so I shall be leaving them out now. The other thing was the loudness switch. Bass and treble was boosted whilst the mids were attenuated so that the loudness in "Phons" imitated the "Fletcher-Munson" curves. You would turn the volume down low to prevent causing a disturbance (remember the days...?). But in increasing the bass by using the loudness control it made little difference seeing it's the bass that permeates through buildings! Better to use headphones for late night listening. We know however that some headphones are rather fussy about their driving impedances, and getting back to distortion, as above, headphones being less distorted than speakers (erm, some are) will let you hear more of that "singleton" distortion you don't hear using speakers. And then to get headphones to switch the speakers off, or doing it manually, needs switch contacts, which are expected to switch the heavy load of impedance dipping floor-standers, so the precious metal plating will soon arc away... does this increase the amp's distortion? Too right! And this is the reason why we make separate headphone amps! So, indulgence in 70s design it may be, but I have my limits. I often get asked if my products are compatible with one amp or another, and the answer is invariably yes, but I have to check which involves visiting the manufacturer's website and checking specifications. I regularly find myself amazed by the sales methods such pages use, and the way descriptions are manipulated to make the customer believe they're looking at something vastly superior, and I know from what I read around the web, and from what customers say otherwise, that they are taken in. The magic ingredient "class-A" is so often namedropped to describe a design that is so obviously class-AB, and it is also used in a way where if challenged by advertising standards they can show it's true! What they are actually describing is the voltage amplifier stage, which is always class-A whether they design it, I design it, or "the man in the moon" designs it. There, it doesn't seem so special anymore does it? 1. The voltage has to be made large enough. 2. The large voltage has to have sufficient current. The voltage amplifier section uses transistors in "voltage gain mode". The current amplifier section uses transistors in "current gain mode". The voltage amplifier has to have sufficient small current so the current amplifier can multiply it to produce power, and so it always operates in class-A. The current amplifier has an upper transistor and a lower transistor: the upper transistor pulls the speaker voltage up, the lower transistor pulls the speaker voltage down. It is (wrongly) named push-pull (you can see it's pull-pull). The upper and lower transistors are actually made up of two or three transistors: the first has some of the current gain, the second more, and so on. This arrangement is called a Darlington (or super-beta). A Darlington can be two transistors in one package or two discrete transistors. Some power Darlingtons have a built-in emitter resistor which saves the designer having to work out a suitable value, so his work was done by the semiconductor manufacturer, not him. The current amplifier is always biased-on to a greater or lesser degree. This makes it class-AB. If it wasn't biased on it would be class-B and it would distort badly. If a current amplifier is biased-on sufficiently that it draws as much current as would be needed to produce between one third to one watt in a loudspeaker, the manufacturer claims pure class A. But it is still class-AB! I hope this gives some insight into what manufacturers claim? I shall be using all my knowledge to make the design I'm working on here sound like it's just as ground-breaking as the salesmen do for theirs. I recall many of the Japanese manufacturers coming up with various descriptions of their latest config names in the late 70s; ultimately does it matter what the sales pitch says? If it sounds good and they have used some new means of making it work great but if it sounds mediocre to awful it will sound the same whatever the sales pitch? Does true Class A exist; I recall the original Krell KSA range being stars at pure class A when launched in the early 80s I think? Thanks again for the educational content. I'd never questioned the term push-pull, you are right that it must be pull-pull. The prototype power supply is now built and being made ready for testing. Once that's successful the prototype power amplifier board can be tested, and if OK, the design can move into its next phase. Note that the tag posts are arranged so that each ground (and supply) is hard wired to its individual star point (star earthing). Will be interesting to hear how this performs vs the majestic & proprious when complete? The hope is to offer a broadly similar sound with one box to what I offer in multiple boxes at present, as far as analogue audio goes. The customer base for high fidelity equipment is shifting older in age - generally speaking the younger generations have zero interest in high resolution music presentation - and with the inevitable downsizing process most of the older generations tend to be intent on, my thinking is most will want simplification. It makes sense therefore to try and squeeze as much of the wanted analogue functions into one enclosure. In my opinion DACs and headphone amplifiers are best as separates because they're a poor fit with the integrated amplifier architecture. And in saying that, a DAC with headphone amplifier, although that's nothing new, would, with the right sort of inputs and outputs, probably become an acceptable "other box". It seems I'm an exact fit! 18 months ago I decided to ditch the longstanding two-box amplification and eschew the multiple digital inputs which in my case became redundant as I upgraded the vinyl front-end instead. Bought a second hand British-built integrated of dual mono design, a quality product with no frills. 33 watts per channel into 8 ohms which is adequate with efficient speakers. A Majestic with a ULDE headphone amp circuit would be just the ticket! Thanks! I am sure to are right graham as to the market place rather like downsizing a house; very tricky to find something suitable and a reasonable price which incorporates all the needs/must have to a hooch standard but without the peripherals not needed. My current integrated amp has many bells and whistles that I've no interest in using as I only play records now. I would be very interested in this design to compliment the GS phono stage and headphone amp. It appears to be a very pure solution. If you've been paying attention to this topic in a technical way you might remember my disgust at the word "singleton" being used to belittle a single transistor input stage. My reason being that the Proprius uses a single transistor input stage in its power amp, and does a great job of it. In this application however, where we need to squeeze as much power out of the design as possible, the exact same input stage as the Proprius cannot be used. The Proprius input stage is in fact the shunt-series pair where the second transistor takes its place in the regular voltage amplifier position. It is wasteful of voltage in that it takes away 4 or 5 volts from the available rail voltage, and that is the reason it does 25 watts instead of nearly 35 watts the rail voltage would allow. But that's the price of quality! Where power is wanted, and clean power, we therefore have to use as much of the power supply rail as possible, but amplify with as little distortion as possible. Now, if it had been said that the emitter feedback single input transistor was a problem and explained it properly rather than citing a reference which made no sense, perhaps I would have thought twice. I have to agree that it is not a very good idea as far as distortion goes, because I've tested it and found it to be true. This has sent me on a quest to discover exactly how I did the input stage to my kit amp nearly 40 years ago. Unfortunately I don't have any record of it now, and the only person I now know who built one is John C.
He last saw the circuit diagram in his teens! I have a sneaking suspicion that I might have used a differential input, and if so I need to do a bit of a board bodge to make it so (the reason why we do prototypes...). As if by magic, in simulation it gives 40dB of loop gain (negative feedback). I say magic because Harold Black of Bell Labs who invented negative feedback stated that 40dB would give minimal distortion in a design... in 1927! After spending the last 4 days examining power amplifier topology, actually building each one and testing it, and not just simulation, I can only conclude that there is an awful lot of economy being taken with the truth. Maybe in simulation, or just measuring the voltage amplifier stage, distortion below 0.5% just doesn't seem to happen with current stage in circuit. I also remember such events some 20 years ago building and testing many and varied designs for an amplifier manufacturer. The test equipment was blamed; the mains was blamed; the mains was rewired; I took my own test gear... the results were the same. Less than 0.01% just below clipping? Maybe without a load? Better than 0.001% THD peak output? Really? The best THD I have ever measured for a serious output stage is 0.047% on my Proprius mono amps, that being just below clipping into 8 Ohms. And it is obvious that with the tiniest of voltage swing in the input stage collector load, all the work is done by the voltage amplifier stage (VAS) - a single transistor - or a Darlington - or a cascode with all it's instability. Now, the point here is the output stage is running class Ab. Perhaps with hardly any current flowing in the output stage - class aB - lower distortion and better highs can be measured?? But what is the mechanism when delivering power - when serious current is flowing? What instabilities are taking place? Is it this that gives that "atmospheric effect" - which incidentally is so false? The seventies amps were generally very distorted, and quite unstable requiring a very lean standing current of perhaps 5mA. But there were better and that type of amplifier was similar in having multiple voltage gain stages. The problem is not in the design. It is in the people who buy amplifiers. Power crazy! And to get more power means squeezing as much as can be squeezed from the power supply - and incidentally power supplies cost money - the bigger the more they are! This led to current sources and current mirrors and symmetrical voltage amplifiers, all in a bid to get voltage gain from nowhere. If you think for one moment all that will result in something which sounds so palpable, I am sorry, you are sadly mistaken, you have been taken in, and so have the reviewers. My next step will be to try and develop the Proprius concept to work on an unregulated supply.